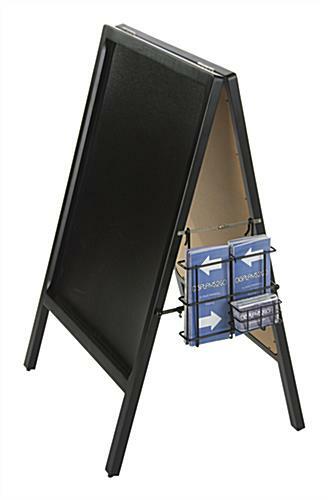 This a-frame trifold dispenser w/ card pocket expands opportunities for advertising by offering take-aways in conjunction with the signage itself. 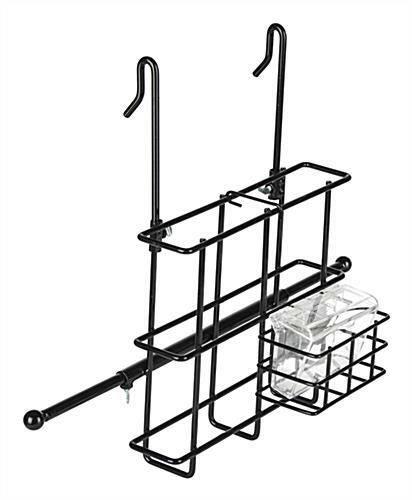 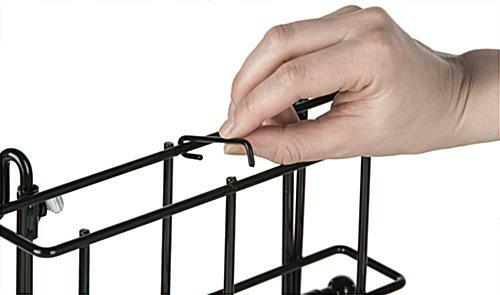 This metal display with black finish complements store, bar and restaurant decor. 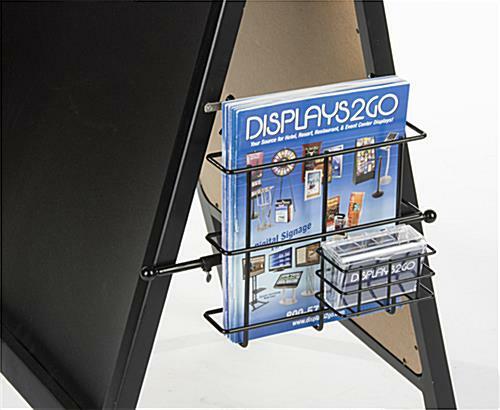 This trifold dispenser w/ card pocket, like a brochure holder, allows a retailer to showcase take-home periodicals and contact information so customers can grab them on their way out. 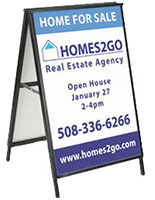 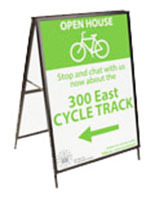 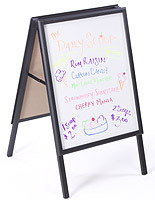 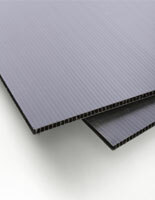 This sign display is an inexpensive and easy way to upgrade existing messaging without having to buy a replacement unit. 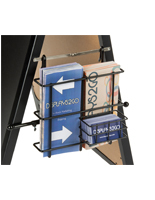 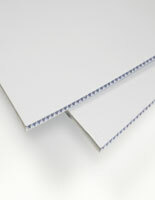 This business-boosting dispenser w/ card pocket supports 8.5" x 11" letter-sized leaflets and contact information. 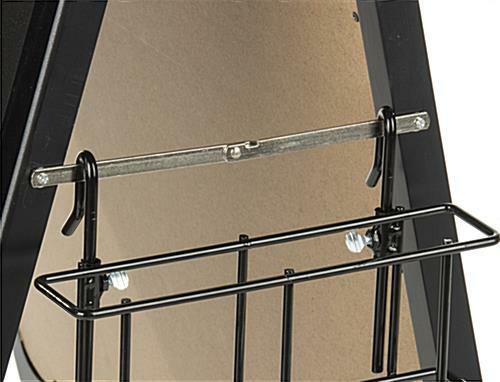 Please Note: A-Frame side hinge must be at least 7".